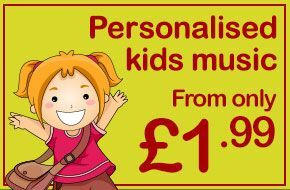 Our Christmas4Me range will bring much joy and happiness to kids when they hear Santa introducing stories to them and mentioning their name throughout the CD. Brand new Christmas stories and all time favourites such as Frosty the Snowman, The 12 days of Christmas and Rudolph the Rednose Reindeer fill this CD with amazing content and 1 hour of great entertainment for kids. PLEASE NOTE, These CDs are not produced to order.